March is just around the corner, and we all know what that means – colorectal cancer awareness month! You were thinking we were going to be talking about March Madness and our college basketball picks didn’t you? Or about our plans for St. Patrick’s Day? Well March has another special month long event – Colorectal Cancer Awareness. 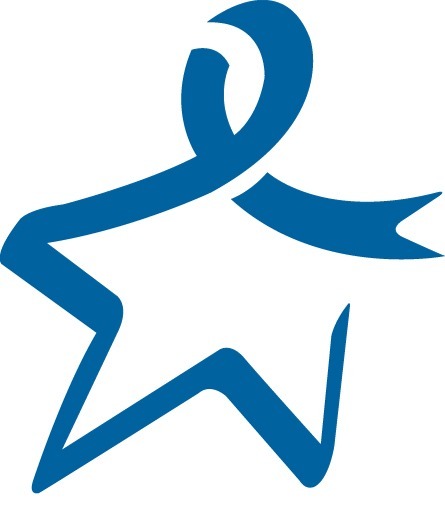 BLUE is the color of CRC awareness, and it can often be seen displayed in a star, much like the pink ribbon is used for breast cancer awareness. Did you know that colorectal cancer (CRC) is the nation’s second-leading cause of cancer death? And that it’s one of only a few cancers that can be prevented through screening? If CRC is found and treated at its earliest stage, the five-year survival rate is 90 percent. If you or someone you know is 50 or older, talk to your doctor about getting screened, especially if there is a family history of the disease. For more information about CRC, including screening tests, symptoms, and treatment, please visit the American Cancer Society.